Iraq gains it independence from the United Kingdom. With the signing of the Anglo-Iraqi Treaty and the settling of the Mosul Question, Iraqi politics took on a new dynamic. The emerging class of Sunni and Shia landowning tribal sheikhs vied for positions of power with wealthy and prestigious urban-based Sunni families and with Ottoman-trained army officers and bureaucrats. Because Iraq’s newly established political institutions were the creation of a foreign power, and because the concept of democratic government had no precedent in Iraqi history, the politicians in Baghdad lacked legitimacy and never developed deeply rooted constituencies. Thus, despite a constitution and an elected assembly, Iraqi politics was more a shifting alliance of important personalities and cliques than a democracy in the Western sense. The absence of broadly based political institutions inhibited the early nationalist movement’s ability to make deep inroads into Iraq’s diverse social structure. The new Anglo-Iraqi Treaty was signed in June 1930. It provided for a “close alliance,” for “full and frank consultations between the two countries in all matters of foreign policy,” and for mutual assistance in case of war. 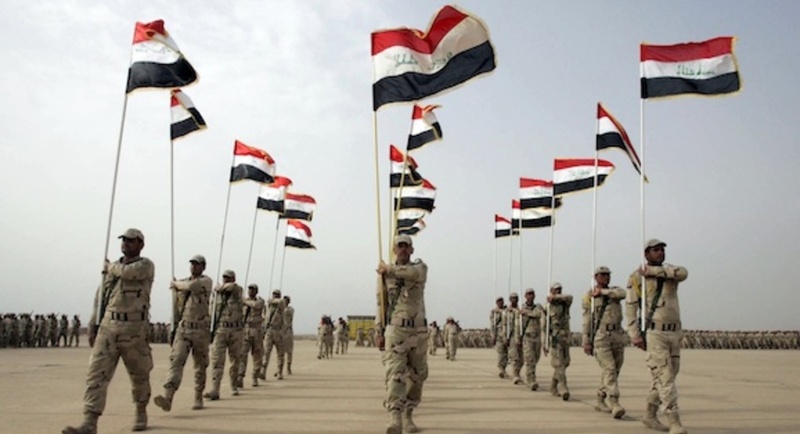 Iraq granted the British the use of air bases near Basra and at Al Habbaniyah and the right to move troops across the country. The treaty, of twenty-five years’ duration, was to come into force upon Iraq’s admission to the League of Nations. This occurred on October 3, 1932. In 1932, the Kingdom of Iraq was granted independence under King Faisal I. However the British retained military bases in the country. Iraq was granted official independence on October 3, 1932 in accordance with an agreement signed by the United Kingdom in 1930, whereby the United Kingdom would end its effective mandate on the condition that the Iraqi government would allow British advisers to take part in government affairs, allow British military bases to remain, and a requirement that Iraq assist the United Kingdom in wartime. Strong political tensions existed between Iraq and the United Kingdom even upon gaining independence. After gaining independence in 1932 the Iraqi government immediately declared that Kuwait was rightfully a territory of Iraq. Kuwait had loosely been under the authority of the Ottoman vilâyet of Basra for centuries until the British had formally severed it from the Ottoman influence after World War I and on this basis the Iraqi government stated that Kuwait was a British imperialist invention. This entry was posted in Uncategorized and tagged 1932, 3 October by Admin2. Bookmark the permalink.